We ensure that your relocation is handled with a professional attitude from start to finish. All of our staff go through rigorous training to become part of our team. Our vehicles are equipped with everything that we need to carry out your removal without hitch. Because every removal is different! We survey our customer's home/office to enable us to assess the manpower, vehicles and time needed to complete our work smoothly and efficiently. Utilising the right vehicles ensures that we can accommodate your home or offices contents accordingly. Having the right number of men on a job ensures that we can overcome any potential challenges whilst keeping costs to a minimum. Timing is important during a relocation, with multiple parties in a chain, we can keep the risk of delays minimal. 25 years in the game, we know a thing or two! Our experience is what sets us apart from other removal companies. We have completed every kind of removal with every related issue and have seen it all. From the little set-backs to the real problems, we have a resolve. 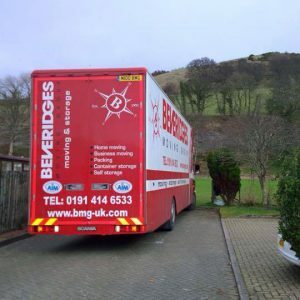 Book Beveridges Removals Newcastle today for peace of mind and guaranteed satisfaction. We're equipped and ready for anything! All of our vehicles are purpose built and kitted out with everything that your team will need to ensure that your relocation goes smoothly. From our protective furniture accessories, transit blankets, straps, webbing and ties to our comprehensive insurance. We have you and your home covered! We realise that you're not just moving house but you're moving onto the next chapter of your life. Because of this, we will treat you like real people and appreciate that your moving is a 'big deal'. We will do everything that we can to slip you into your new home with ease and empathy whilst ensuring that you receive the best service available.